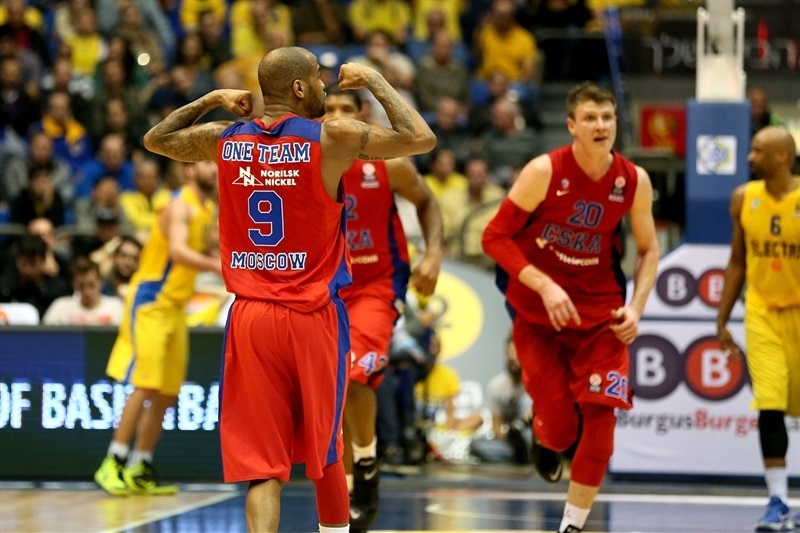 CSKA Moscow put together a strong defensive performance to remain perfect in Group B with a convincing 61-84 victory at reigning champion Maccabi Electra Tel Aviv. Sonny Weems scored 19 points to lead five CSKA players in double figures, including Sasha Kaun, who had 15 points and 10 rebounds. Nando De Colo and Andrey Vorontsevich both added 13 points and Aaron Jackson netted 10 points as Moscow improved to 7-0 in the group. After losing in Moscow earlier in the season by 19 points, Maccabi saw its modest two-game winning streak snapped to drop to 4-3 despite 14 points from Devin Smith. Sylven Landsberg scored 12 points and Marquez Haynes added 11 for Tel Aviv, which was held to just 33.3 percent two-point shooting in the game. 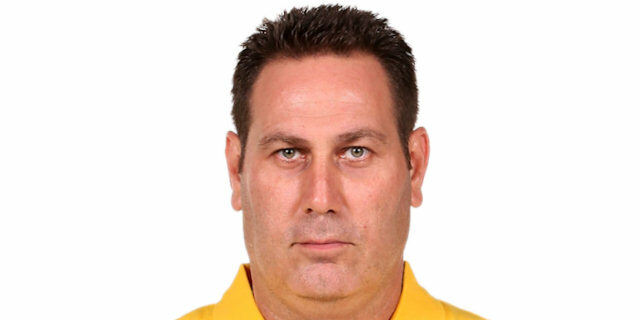 Maccabi coach Guy Goodes did not make a change to his starting line-up with Yogev Ohayon, Haynes, Jake Cohen, Smith and Sofoklis Schortsanitis getting the first nod. CSKA coach Dimitris Itoudis was without point guard Milos Teodosic for the second straight game. And he didn’t make any changes to his first five from last week with Jackson, Vitaly Fridzon, Weems, Vorontsevich and Kaun. The center got the scoring going and then Vorontsevich made it 0-4 on the break after a steal. 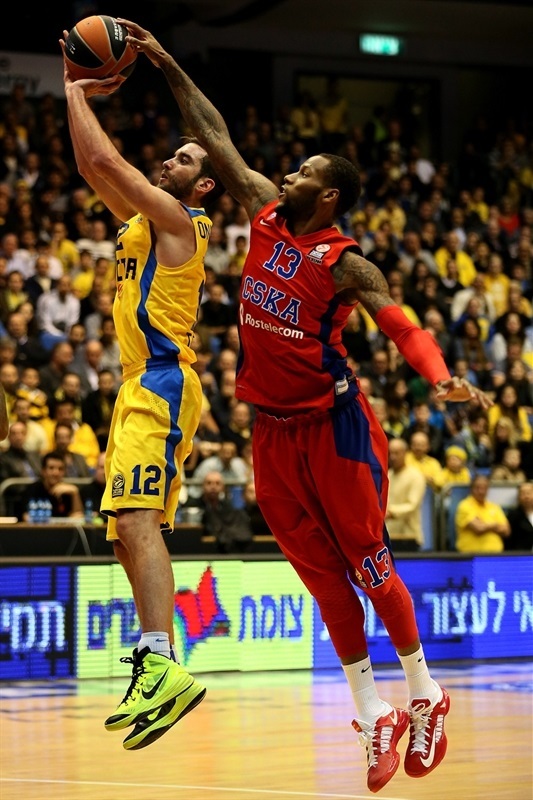 Haynes hit the first basket for Maccabi with a three-pointer. Weems and Jackson made back-to-back three-pointers and Weems nailed another long ball after a Haynes free throw. The Moscow advantage jumped to 4-15 after a Kaun basket, though he missed the bonus free throw. 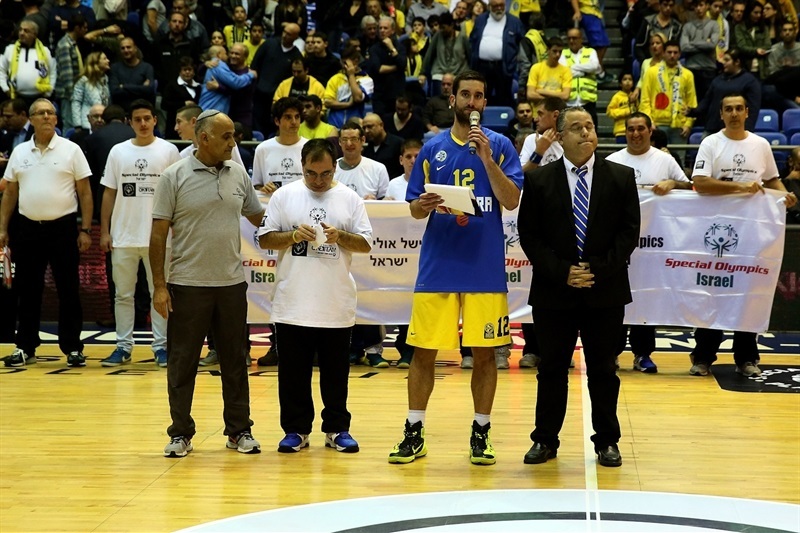 Smith finally scored Maccabi’s second basket – a three-pointer – after more than five minutes played. A free throw by Landesberg trimmed the margin to 8-15. Weems sandwiched baskets around an Aleks Maric inside score and then Weems nailed his third straight three (and fifth straight shot) to push the gap to 10-22. Alex Tyus missed 2 free throws and an alley-oop attempt to try to get Maccabi closer, though Cohen did put back the miss to make it 12-22. De Colo finished off the quarter by draining a three-pointer at the buzzer for a 12-25 advantage after 10 minutes. Maccabi picked up its defense in the second quarter and Smith got the offense going a bit with a three and a runner to move to within 17-25. 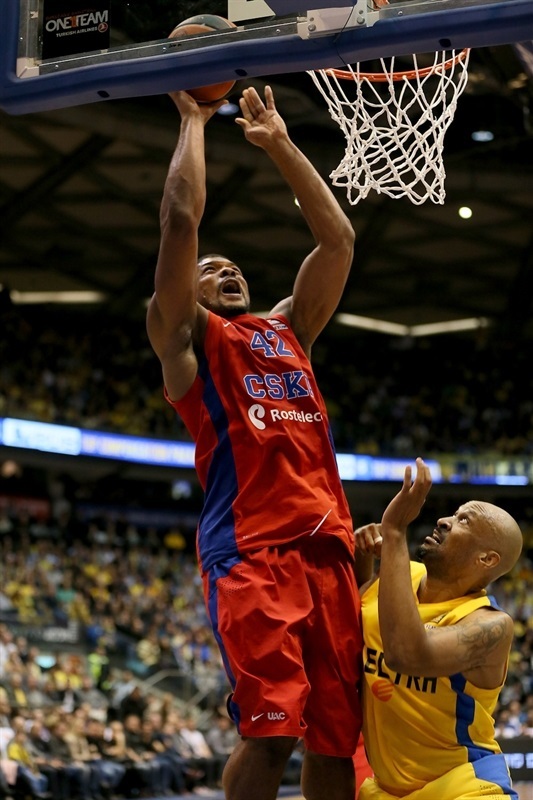 Kyle Hines put back an offensive rebound for CSKA’s first basket of the quarter after two minutes of action. Landesberg stepped up with two baskets, the second a dunk after a steal before 2 Jeremy Pargo free throws trimmed the gap to 23-27. De Colo hit Moscow’s second basket just before the halfway mark of the quarter, but Pargo shortened the lead to 26-29 with a three-pointer. De Colo answered with a layup and then Kaun completed a three-point play to increase the gap to 28-35. Vorontsevich scored again and Kaun’s putback after an offensive rebound left the guests up 30-40 at the intermission. Schortsanitis opened the scoring in the second half, but Vorontsevich nailed a three and Jackson’s free throws pushed the margin to 13 points. Landesberg got a loose ball and dunk, but Fridzon scored for the first time from behind the stripe as Moscow led 34-48. Ohayon hit back with a triple, but Kaun’s free throw and another Vorontsevich score had CSKA ahead 37-51. Maccabi would not go away as Pargo hit a layup and Tyus put back an offensive rebound in a 7-0 run to put a dent in the lead, making it 44-51. 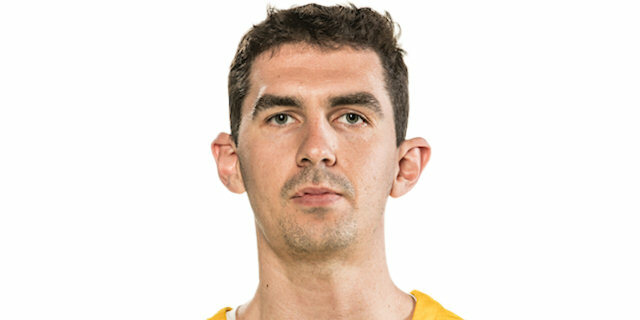 Vorontsevich, however snapped CSKA’s four-minute scoreless stretch with a jumper and after Hines and Fridzon both made two free throws, Kaun collected a fine pass from De Colo for a dunk and a 46-59 CSKA lead. 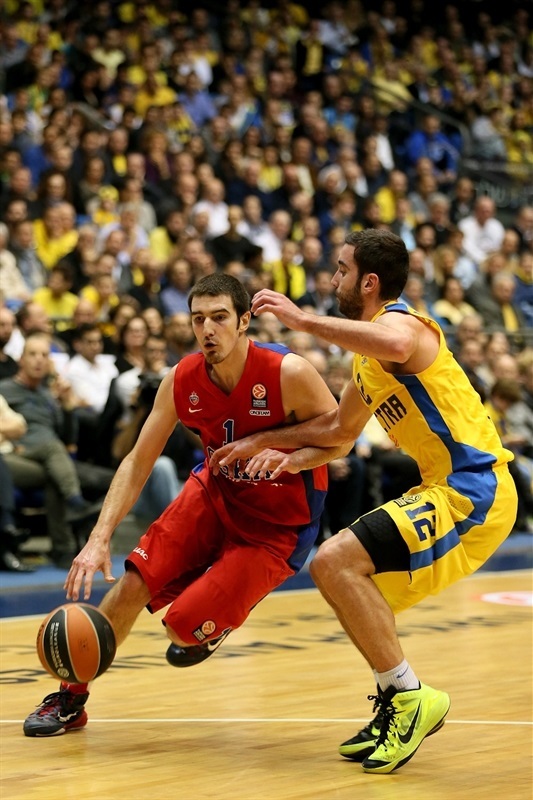 De Colo’s jumper started the quarter before Smith was able to hit a three-pointer for Maccabi. But Kaun scored inside and then Weems got out on the break for a dunk to push the margin to 49-65. The hosts were unable to even match baskets as Vorontsevich scored yet again and Jackson and Weems both drained threes in a 0-14 run over a four-minute stretch to open a 51-79 cushion with less than three minutes to play. Nate Linhart’s three stopped the run and Haynes added 5 more points in the final two minutes to make it a bit closer. But it was way too little, way too late. 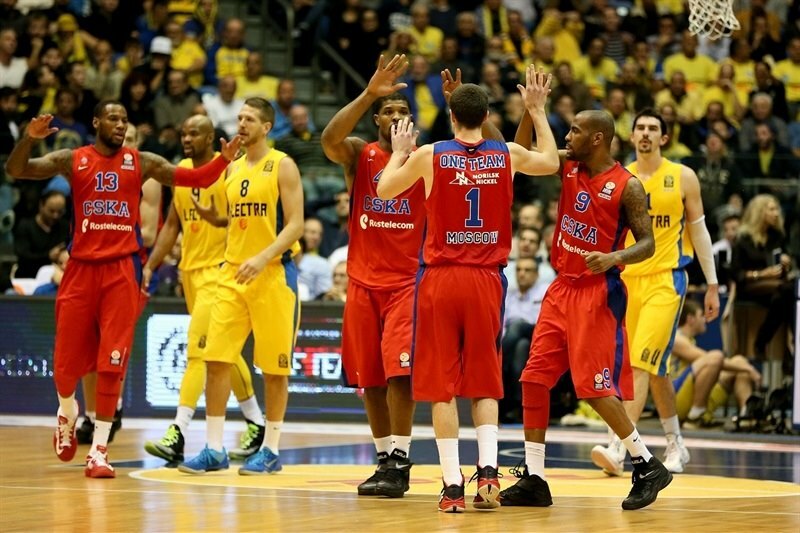 "We played against a team at the top level of the euroleague – we knew that before the game. 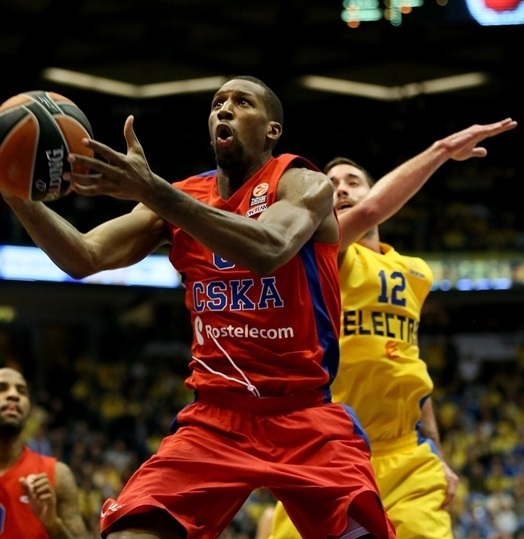 We didn’t start well – we gave CSKA some easy baskets. But it was also credit to their defense. The second and third quarter were much closer but in the first and fourth quarters there were gaps that were too big to bridge. Everything is possible in sports. It is a very long season and during the season there are good periods and less good periods. We need to learn during the journey. There’s no doubt we need to strengthen the squad." "We want to get better and better. The euroleague is a marathon not a sprint. The 7-0 has justified our efforts, practices and shows us that we are in a good way. That’s it. We still don’t have the big picture – we are missing very important players. When we have got them all together and work all together then we are going to have the big picture. The players that are there at present are focused and giving 100% and that’s what I like." "We lost focus a little bit [towards the end of the second quarter]. 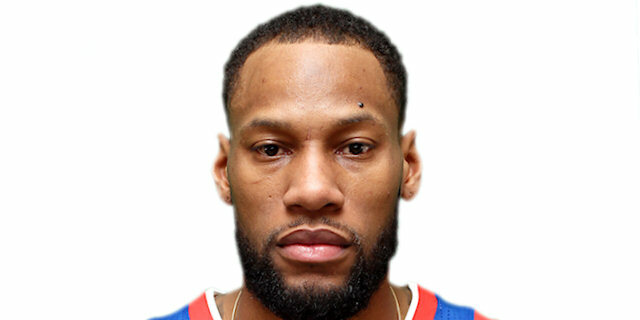 CSKA is a very good team and they are going to take advantage of any mistakes you make. We just made too many down the stretch and they took advantage like I said. I am confident with this group of guys. We have come a long way already this year. We didn’t play very well tonight but we have got a resilient group here – one that is working to get better always so we are going to take this as a learning process." "It felt good. I was making shots in the first quarter so that’s the number one thing – that I actually made some shots. They are a smart team. So I am just happy we got the win. We played great defense as a team. Now we have to move on to the next one. 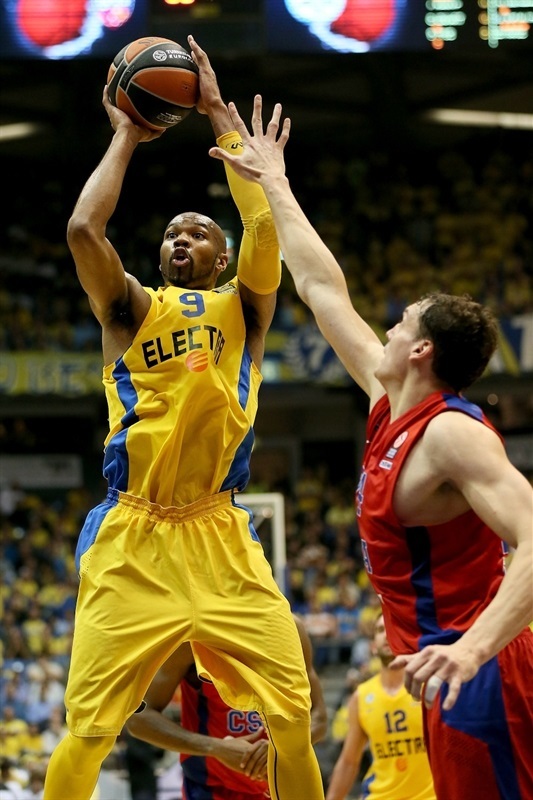 We are unbeaten in the Euroleague so I hope we can keep this up."